Hello, and Happy New Year! It's been a while since I've done a review for you guys, and I'm back with an exciting one. 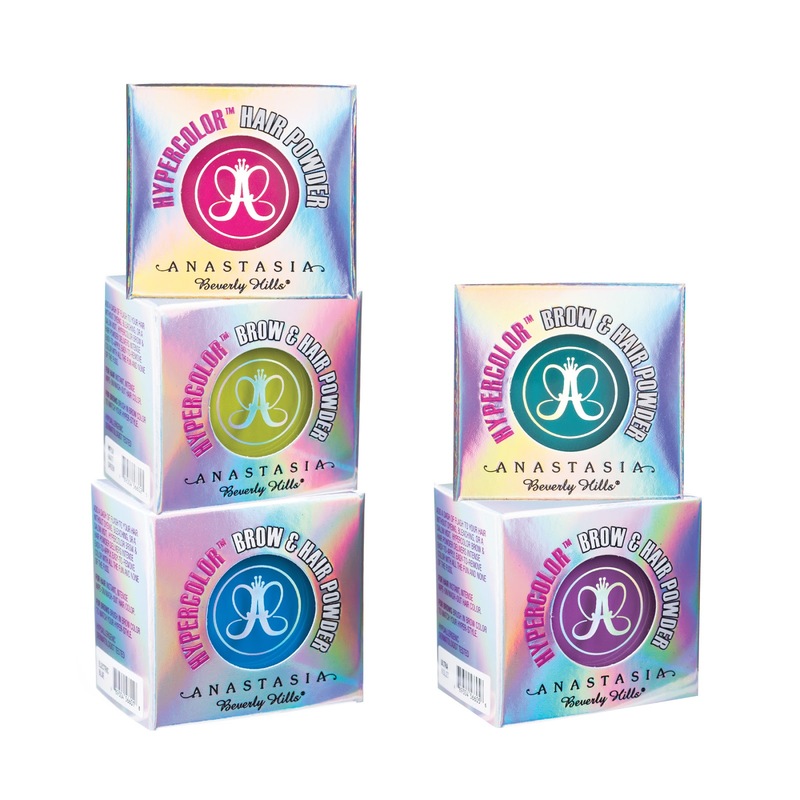 A few weeks ago, I was contacted by Anastasia Beverly Hills and was asked if I wanted to try out their new hair product aptly named, HyperColor. It's essentially a temporary hair color with an intense color pay off. 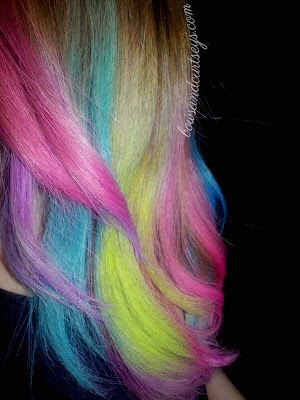 Now you can have the rainbow ombre unicorn hair of your dreams, without the commitment! This will be a very picture heavy post, so brace yourselves! Unless you've been living under a rock, 2012 was all about chalking, dip-dyeing and ombre-ing hair. 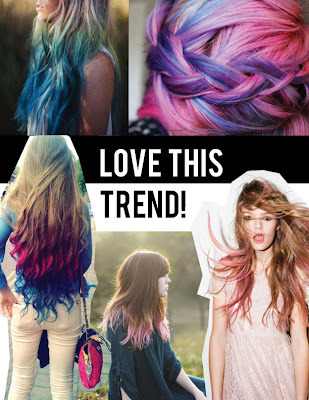 It's great and all, but most of these require a long-term commitment and chalking can be extremely drying to your hair. 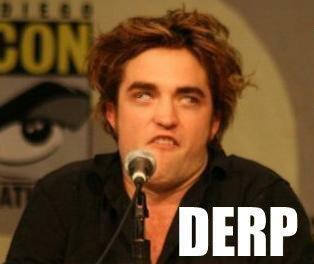 Not to mention, things can get really expensive, especially if you're a derp like me and end up screwing things up. 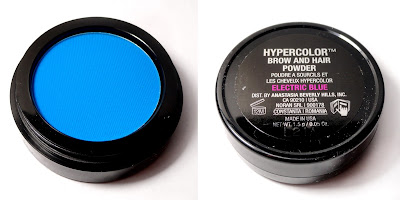 With HyperColor Hair and Brow Powder, you can go as wild or as tame as you want, and your natural hair is just a shampoo away. Keep in mind that this is not a chalk, it's an actual powder that won't dry your hair out. Here is each color applied individually, immediately after application. This is the top I was wearing while I applied the product, and I was also wearing it while I brushed it out. If you look closely, you can see some blue transfer on my top. Guys, I got SO many compliments when I wore this out in public. I had one girl even ask me where I got it done. She could not believe that I did it myself, at home, in less than 10 minutes! Before application, I prepped my hair with a leave in conditioner to give the powder something to hold on to, sort of to act as a primer. After I brushed everything out, I set it with a flexible hold hair spray to lock it all in and to prevent it from transferring onto my clothes. I wouldn't wear white though, just to be safe. Overall, I really love this product. It's easy to use, and oh so convenient for those times you get major hair envy from some random girl you see on tumblr. Not only is the application easy, but it's quick. It took me no more than 10 minutes to do all of my ends. One thing to note though, is that this product is extremely messy, and it WILL get everywhere. I recommend putting on a top that you don't mind getting dirty, and maybe even an old towel over your work area. Also, wear some gloves if you don't want to stain your hands. 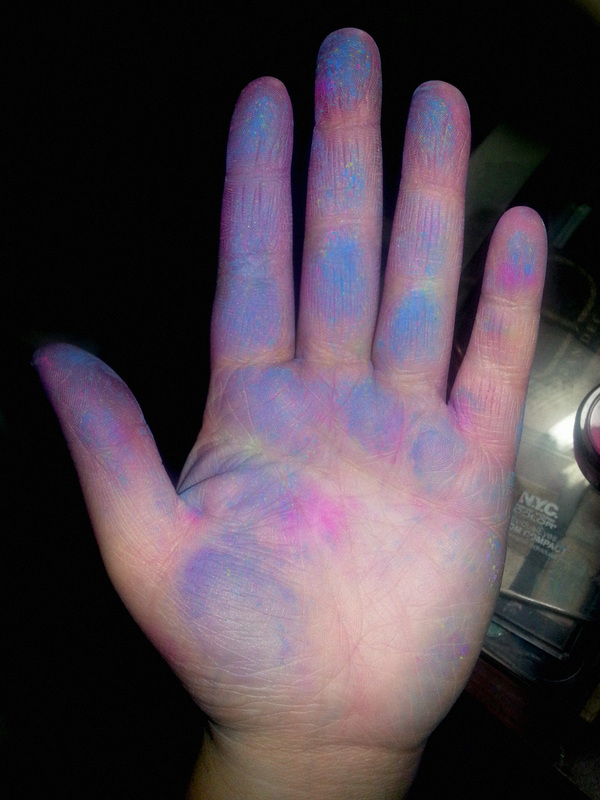 The good thing though, is that mostly everything washed out completely, and didn't leave any stains behind. 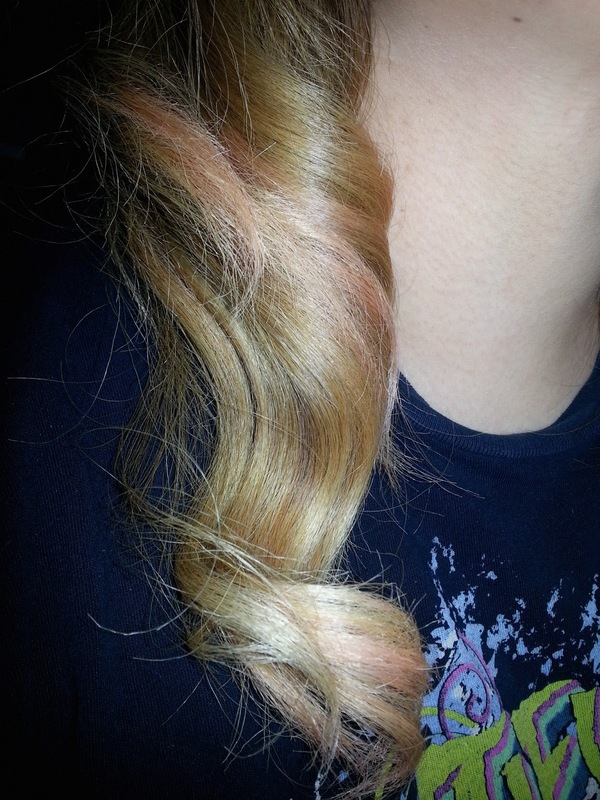 Although I noticed that the pink shade was a bit more difficult to get off my hands and hair. After the first shampoo, I was left behind with a light, cotton candy pink shade that I quite enjoyed. Some people might not want that, but I think it's because of my light hair color. Darker hair tones might not have this issue. I didn't have any issues with these powders drying my hair out, and that is a HUGE plus for me. Especially because I have color-treated hair and I use heating tools as well. Anastasia states that these last until you wash them out, but I wouldn't wear them for more than a day, for two reasons - potentially staining my light hair, and transferring the colors onto my bed sheets. Other than that, this is an amazing and wonderful product for color junkies like me that love to experiment without any commitment. 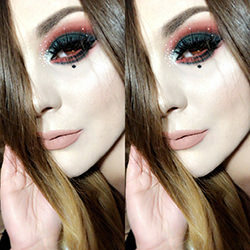 You can also use these on your brows, which isn't something I would do personally, but apparently it's a huge trend on the runway this year.This is perfect for carnivals, clubs, parties, hanging out with friends, concerts, or just because; the possibilities are endless! Anastasia Beverly Hills HyperColor Hair and Brow Powder is available for $12.50 each USD at Ulta stores, www.ulta.com, and www.anastasia.net. I hope you enjoyed this review! If you have tried these babies before, let me know what you think...I'd love to see what your hair looks like wearing them, too. If you have any questions about this product, just let me know, and I will try my best to answer them for you. Any chance you can try them as eyebrow colours for us? article I browsed. 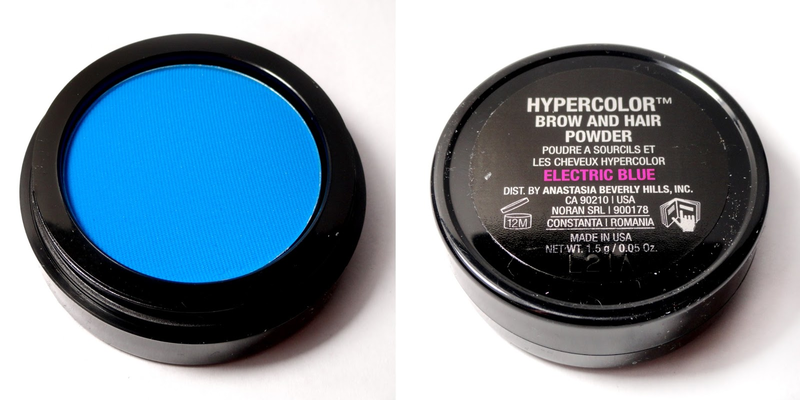 And on this post "Anastasia Beverly Hills HYPERCOLOR Brow and Hair Powder Review". does it appear like a few of the responses appear like they are coming from brain dead individuals? :-P And, if you are writing at additional places, I'd like to follow you. Would you list the complete urls of your public sites like your Facebook page, twitter feed, or linkedin profile? Wow, this looks amazing!! The fact that it isn't drying, and it works on dark hair is a win for me!! WOW!! These colors are so highly pigmented & are really pretty!